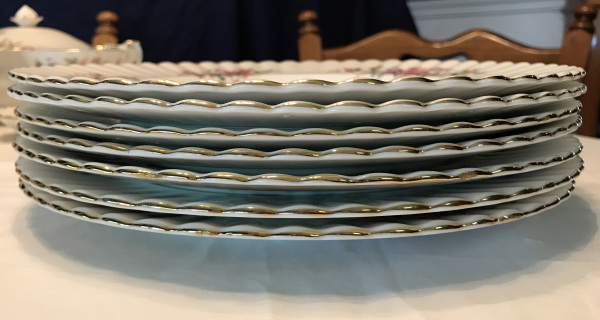 1956 Royal Albert, Moss Rose Pattern, Dinner Plates, set of 7, as seen stacked for storage. 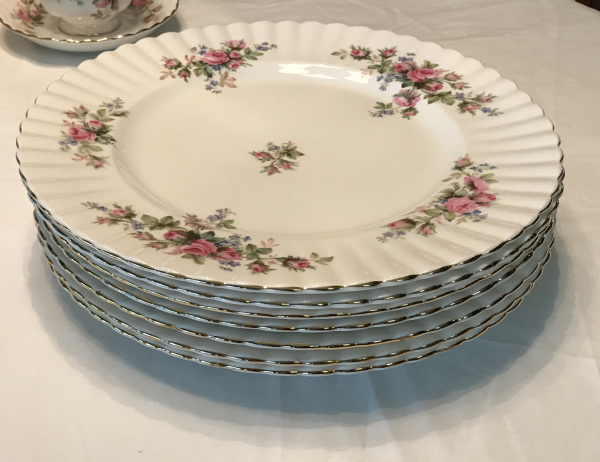 1956 Royal Albert, Moss Rose Pattern, Dinner Plates as seen stacked for storage. 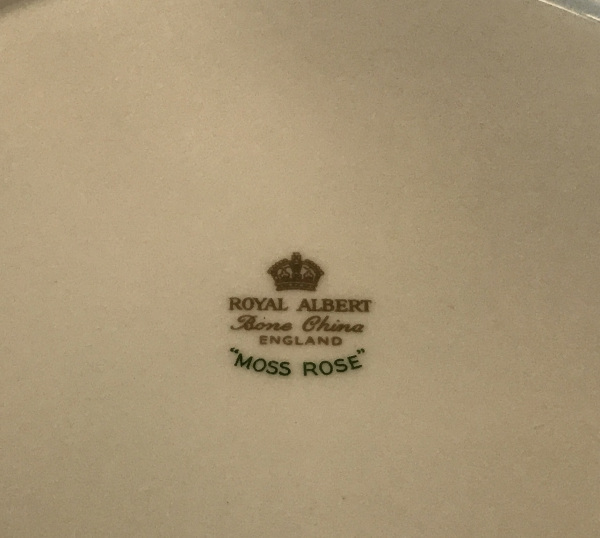 1956 Royal Albert, Moss Rose Pattern, Dinner Plate as seen from top. 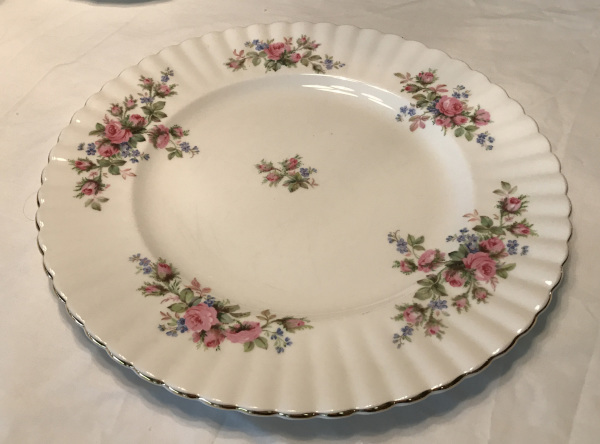 1956 Royal Albert, Moss Rose Pattern, Dinner Plate as seen from bottom showing maker's mark. 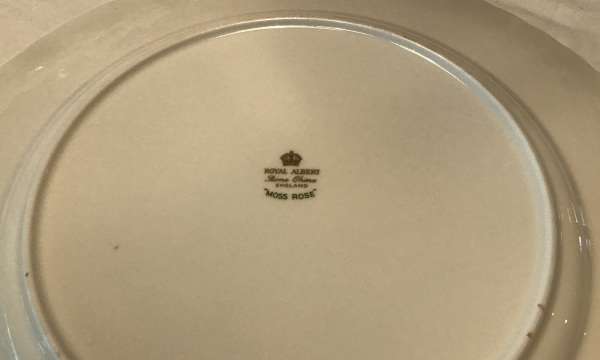 1956 Royal Albert, Moss Rose Pattern, Dinner Plate as seen from bottom, close up of maker's mark.